Our Guest Services Director, at Two Cities Church, has had the highest turn-over since we began this venture and it’s good. First it was Chris Loach. Chris knew the model of ministry and what a Guest Services team should look like within that. The problem with Chris Loach is that he’s just too talented and capable of doing too many things. We quickly moved him into other roles after he got the team set up. Then we asked Chris Hansen to take over the spot. Chris Hansen had spent some time volunteering on the Guest Services team at The Village Church in Dallas, TX. He excitedly and willingly took on the role. He brought a different perspective and was able to help us create a better, more welcoming, set up in our lobby. Chris Hansen just moved back to Texas for a new job. We already miss Chris H. and his wife, Lisa. As various volunteer staff helped me brainstorm on who we could challenge to this position, one name kept surfacing… I give you Brian Weber. What’s your full name and age? Director of Customer Solutions – Decade Software; I leave a team that develops custom solutions for automating data management within regulatory agencies. Wife of almost one year, Michelle. She is the glue in our family and provides a calming effect to all of us! We have a son, Braden, 7-years-old who is in love with Teenage Mutant Ninja Turtles and showing his sister hot to do everything. Camryn, 4.5-years-old, is in love with her dolls making her older brother THINK he is showing her how to do things. She is wise neon dyer years. Both love reading in the Bible and asking great questions bout God. Finally, Michelle and I are expecting a baby boy due in October. We couldn’t be more blessed. What’s your favorite things about Two Cities Church? Two Cities is a church for any person, God-seeking, God-loving, God-questioning. There isn’t any judgement at Two Cities, just come hang out and we can learn from each other. 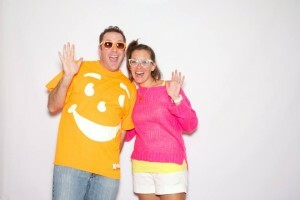 Why did you accept the invitation to be on our volunteer staff team? I accepted the invitation to be the Director of Guest Services because I believe in the direction of Two Cities and I can’t wait to contribute to its growth. What are your hopes and dreams for the future of Two Cities? I want Two Cities to fulfill God’s plan for our church. The size, revenue, or funding is not as important as impacting people’s lives as we can provide an outlet to build a growing relationship with Jesus Christ. I can’t wait to experience the ride! We are excited to have Brian on the volunteer staff team and can’t wait to see what he brings to the Guest Services Director position. 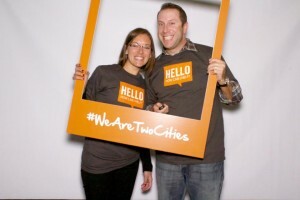 You can watch Brian and Michelle’s #WeAreTwoCities video here. You can read about our Volunteer Staff team here.